Residing in Dubuque, Sandra and Jim Evans have been married for 30 years and have raised two daughters. Currently, Sandra enjoys retirement, having taught upper-level high school English courses for 21 years in Southwest Wisconsin. As a “foodie,” she enjoys spending time in her kitchen cooking and loves to grow a variety of fruits, vegetables, and herbs in her backyard. Jim teaches marketing courses at Dubuque Senior, where he has taught for the past 35 years. He also teaches a college-level Customer Service class through NICC. 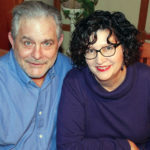 Both Jim and Sandra enjoy dining out and trying new restaurants, which make them a good fit for the restaurant reviews.